August 27, 2018. Unbelievably, the name of this town has been changed temporarily to Miracle Whip. I guess now it will be the home of the Throwin' Miracle Whippian. I don't know how long Mayo will be known as Miracle Whip. I hope not forever. Mayo, Florida is at the intersection of US-27 and SR-51 about 2 miles south of the Suwannee River. It is one of the smallest Florida towns. It has a population of about 1,000 people, and is about halfway between Gainesville and Tallahassee. It is the seat of Lafayette County, pronounced La-FAY-et in these parts, with a heavy accent on the FAY. 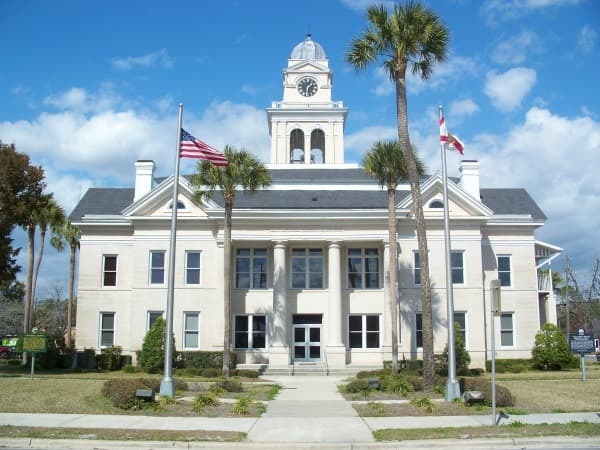 The town was named for a confederate colonel, James Micajah Mayo, but is more famous in Florida as the hometown of Kerwin Bell. The Lafayette County courthouse was built in 1907. Kerwin Bell came along many years later. 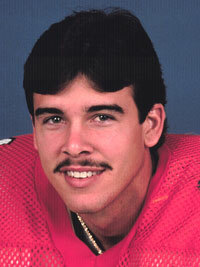 He was the University of Florida quarterback between 1984-1987 and is still one of the Gator's best loved folk heroes. When he was a senior in high school, he was told by many major college coaches that he didn't have the skills to compete in Division I football. Kerwin did not agree with these coaches, and wanted to show everybody that he could indeed compete. He decided to try out for the University of Florida football team as a walk-on, a player without a scholarship, in 1983. He began his Gator career as the eighth string quarterback, a redshirt freshman. A year later Kerwin was the Gator starting quarterback, got his scholarship, and went on to become that year's Southeast Conference Player of the Year. By the time he finished his career at the University of Florida he had become the conference's all-time leading passer with over 7,500 yards. When Kerwin began his career as a Gator, the Tampa Bay Buccaneer quarterback was Jack Thompson, who had been born in American Samoa. Ever since Jack's college days he was known as the Throwin' Samoan. Since Kerwin was from Mayo Florida it was only fitting that he became the Throwin' Mayoan. Kerwin had a fine professional football career in Canada, and in the World League in America with the Orlando Thunder. After his playing days were over, he coached high school football for a time in Ocala, was the head football coach at Jacksonville University and Valdosta State. 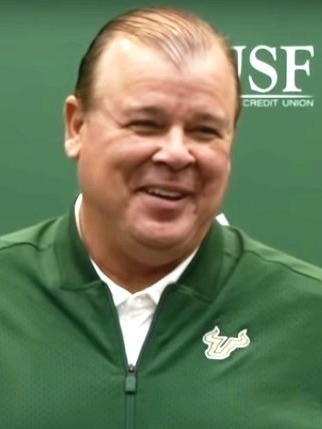 He is now (2019) the offensive coordinator for the University of South Florida. There might be something special in the Mayo drinking water. A few years after Kerwin Bell's time, Herbert Perry played at Lafayette High School and went on to play quarterback for the Gators. 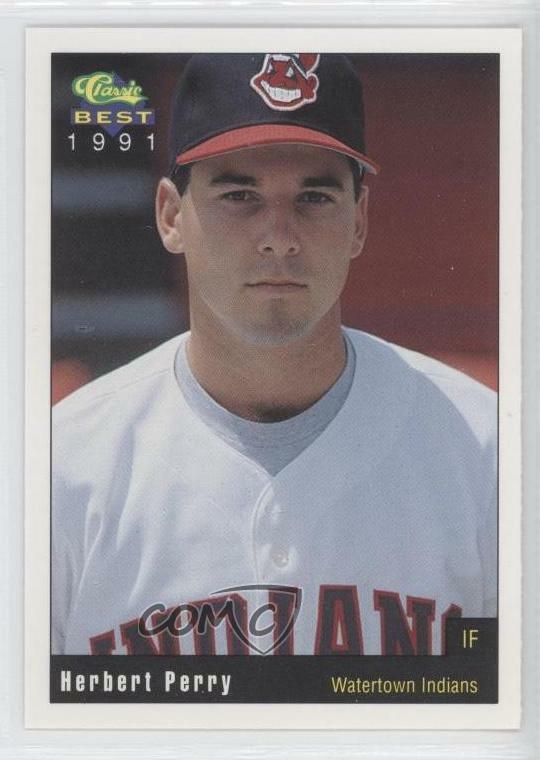 He also played baseball for the Gators and went on to have a fine professional career with the Cleveland Indians, Tampa Bay Devil Rays, and other major league teams. Most people don't go to Mayo - they go through it. There isn't a lot to do, and it's definitely off the beaten path. It is a quiet laid back little town worth a visit. If you came to this website looking for information about the Mayo clinic and hospital in Jacksonville, I did not intend to mislead you. Here is the website for the Mayo Clinic Jacksonville Florida. Cindy's Motel. A 1950's type roadside motel that is clean and reasonably priced. Sonny C's Bar-Be-Cue, 530 S. Fletcher Avenue, Mayo. Tel: 386-294-2271. Mayo Cafe. 220 W. Main St., Mayo. Tel: 386-294-2127. The Great Southern Biscuit Company. 152 Main Street, Mayo, Florida. Tel: 386-294-2212. Paddle Florida will be held in October 2009. As many as 200 paddlers will make the 123 mile trip from the Spirit of the Suwannee Music Park in Live Oak, Florida to Manatee Springs State Park. Mayo is along the way. Information is available at www.paddleflorida.org. Peacock Springs State Park is about 5 miles north of Mayo on SR-51. The park has two major springs, and one of the longest underwater cave systems in the United States. About 28,000 feet of underwater passages have been explored and surveyed by cave divers. Only divers who have proof of their scuba certification are allowed to explore the underwater caverns. Mature forest stands around the springs represent four major natural plant communities. A nature trail leads visitors on a path tracing the twisting tunnels of the caves far below their feet. Swimming in Peacock Spring and Orange Grove Sink are popular activities during the summer. Grills and pavilions are available for picnicking. Call 386-776-2194. From I-10, exit at Live Oak and go south on SR-51 to Mayo.